Paint & counters are in! 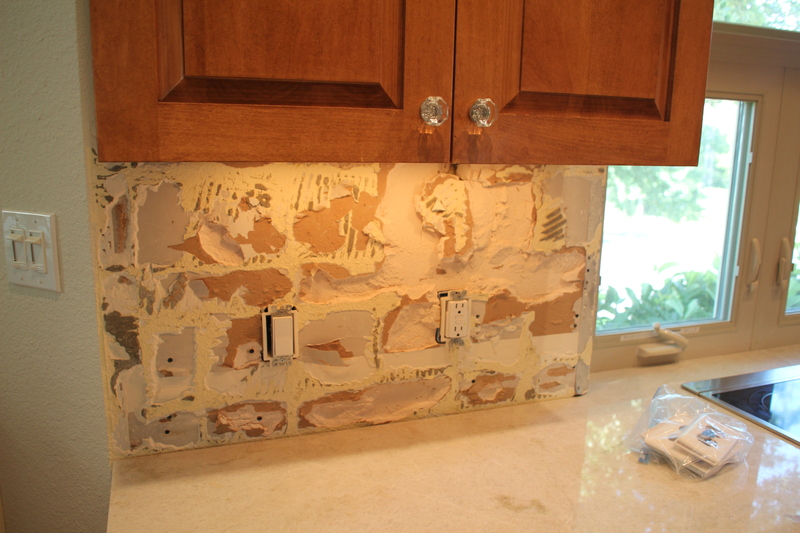 Don’t you love our new backsplash? Yeah, that’s semi-demo’ed wall. Please ignore. So it’s a big mess, but we’ve made a ton of progress! We seriously considered painting the cabinets white to do a true white kitchen, but the maple cabinets are so beautiful we didn’t have the heart to paint them. There was also the cost — prep work cost more than the paint and there’s no guarantee on how well the paint will adhere. Most white kitchens that I love have a dark contrasting floor. Since we have light floors, we are going for dark medium contrasting cabinets. They are very warm, and the other changes we are making will surely achieve the lighter, simpler, elegant feel we are going for. 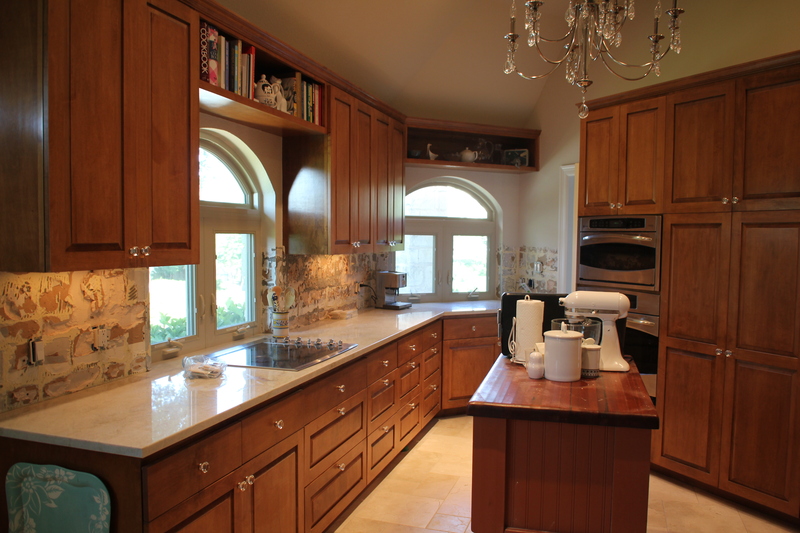 The counters are a quartzite which gives a look similar to marble but is ultra-durable, even more so than granite. The paint is Benjamin Moore OC-31 (Fog Mist).